The Envitech quencher is a proprietary two-stage design that uses makeup water followed by a low-pressure-drop Venturi mounted on an integral sump. The Venturi provides turbulence to saturate the gas while collecting large particulate and absorbing acid gases. High turbulence provides an effective means to saturate the gas over a broad turn-down range. Water is re-circulated in the Venturi section through open pipe injection ports with large orifices to eliminate nozzle fouling and reduce maintenance. 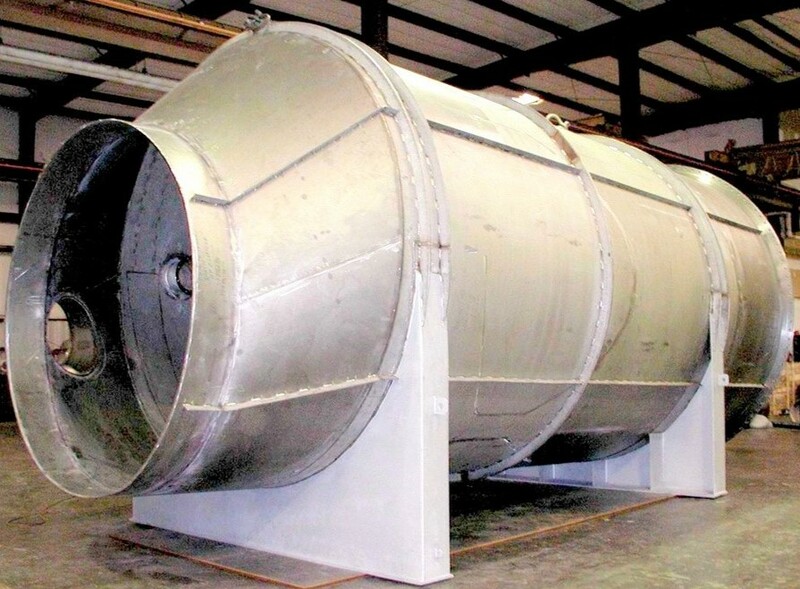 Capturing and removing large particulate reduces the potential for plugging downstream packed bed absorbers, condensers, or entrainment separators. The Envitech quencher has been used on over 200 high temperature thermal processes including medical, hazardous, and industrial waste incinerators, thermal oxidizers, electric arc and blast furnaces, kilns, roasters, recovery boilers, pyrolizers, and gasifiers. 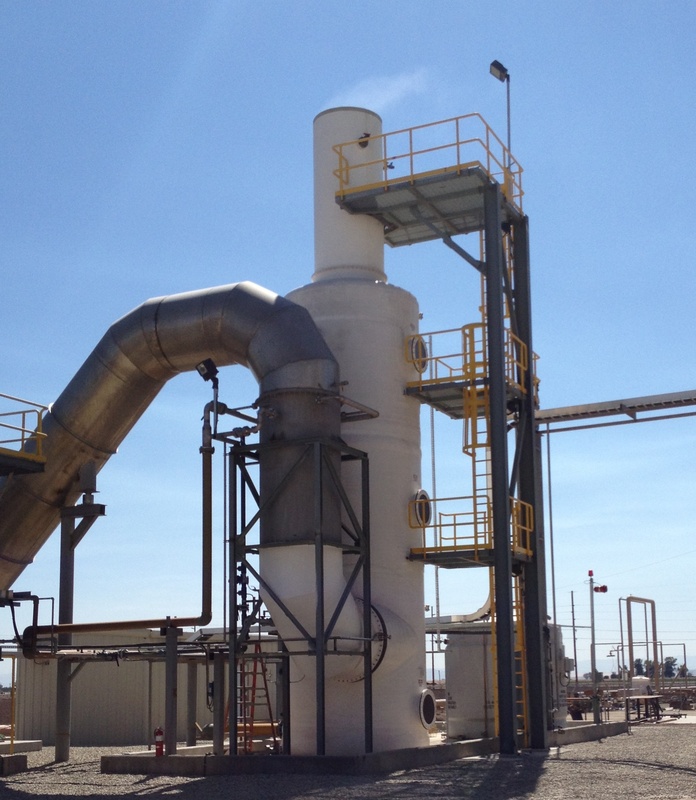 These processes are found in chemical plants, oil refineries, secondary lead smelters, geothermal plants, copper mines, ceramic tile manufacturing, mineral processing facilities, purified terapthalic acid (PTA) plants, sulfite pulp mills, and waste-to-energy facilities. The Envitech quencher can handle temperatures as high as 2,200oF. Available materials include T304, T316, AL6XN, Hastelloy C276, Zeron 100, and Alloy 20. 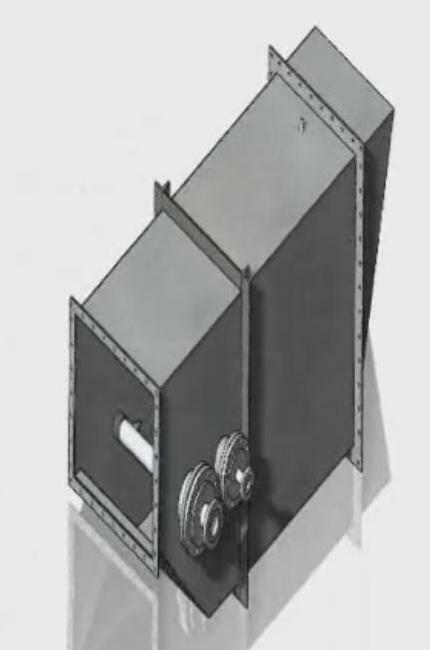 The quencher orientation can be designed with a vertical, down flow or a horizontal arrangement.